We have showed you the digital version of this gorgeous couple's invitations, as well as their Engagement Shoot by James Gibbs. 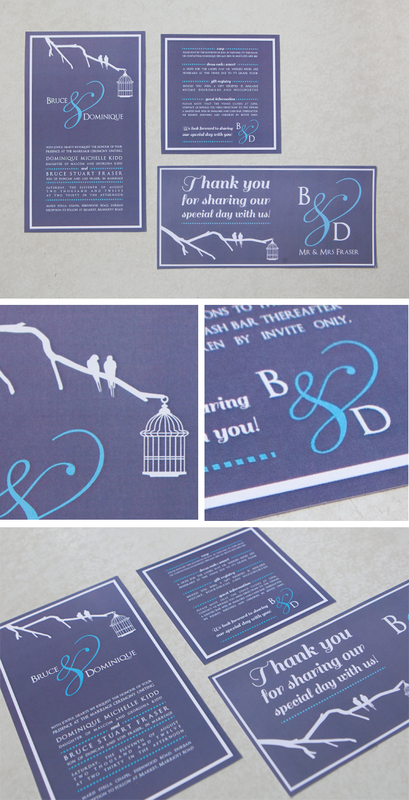 Dom and Bruce are a beautiful and modern couple, and we designed their wedding stationery to match! The wedding was held last year at Market in Durban, a modern restaurant venue, so the birds, cage and brand illustration were suitable for this city wedding under the trees.